Laird Klein, an associate broker with Robert DeFalco Realty, has taken the helm as the 52nd president of the Staten Island Board of Realtors (SIBOR). Klein, known among his peers for his high professional standards and quick wit, was sworn into office by U.S. Congressman Michael Grimm (R-Staten Island/Brooklyn) on Jan. 23, in the Above Rooftop at the Hilton Garden Inn, Bloomfield. Presenting sponsors included Continental Home Loans and United Northern Mortgage Bankers. “I’m looking forward to a year in which we continue raising the bar on the high standards of service provided by our members to the home buyers and home sellers in our community,” Klein said. In addition to Klein, other SIBOR officers installed at the event included (Dil) Gillani of Gillani Homes, president-elect; Claire Bisignano Chesnoff of Claire Properties, secretary-treasurer, and Traci A. Cangiano of Cangiano Estates, immediate past president. 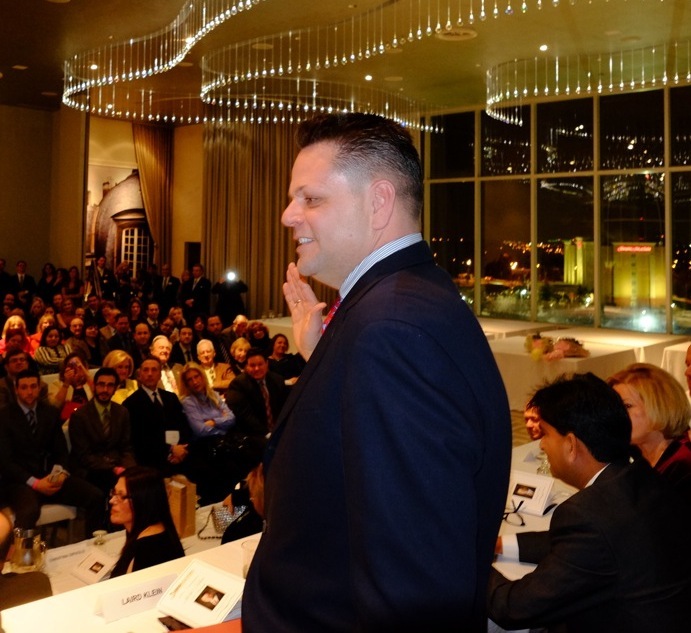 Other board members include: Sandy Krueger, CEO of the Staten Island Board of Realtors; Alfred M. Fazio, Esq., board counsel; Ann Coppola, Sean Cusick, Georgianna Diaz, Donna A. Iadarola, Vivian P. Kokkinos, Anthony Licciardello, Hector Mesa, Ron Molcho, Neila Nuzzi, Angelo Pappalardo, Frank J. Rizzo, Greg A. Sokol, Joseph Tirone and George K. Wonica. In previous years, one member of the board has been a non-Realtor. In 2014, for the first time, two such seats will be held. Cory Schifter of Casale Jewelers, Dongan Hills, will be spending his first year in this position, along with Philip A. Guarnieri, president and CEO of Empire State Bank, who will be serving as a non-Realtor member for the third consecutive year. The officers and directors of the Staten Island Multiple Listing Service Inc. (SIMLS), a wholly owned SIBOR subsidiary, also were inducted. The following individuals, or their designates, have joined or have been reinstated as directors and/or members of the SIMLS board: Sandy Krueger, president and CEO; Joan C. Camerlengo, vice president; Betty Pappas, secretary-treasurer; Traci A. Cangiano, Georgianna Diaz, Gregory Diaz, Christina A. DiPaolo, Dil Gillani, Donna A. Iadarola, Sari Kingsley, Anthony Licciardello, Ron Molcho, Mimi Neuhaus, Kevin M. Swetsky, John A. Vernazza, George K. Wonica, and Alfred M. Fazio, Esq., board counsel. The Staten Island Board of REALTORS® (SIBOR) is the largest not-for-profit trade association in Staten Island, N.Y. SIBOR exists to enhance the ability and opportunity of its members to conduct their business successfully and ethically; and to promote the preservation of the public’s right to own, transfer and use real property. Comprised of over 1,600 members, SIBOR serves real estate agents, brokers and affiliated professionals throughout the borough and surrounding areas. SIBOR may be reached at 718-928-3220 and viewed online at http://siborrealtors.com. SIBOR may also be visited on Facebook and on Twitter. For media, please contact Baron Horowitz, Relevant Public Relations, LLC, at 718-682-1509 (headquarters), 917-715-8761 (mobile), or via email.